Hello everyone! Yesterday Japan experienced earthquake, I happened to be at Yokohama. Therefore, I experienced the impact of the earthquake, but thank goodness I am fine. I am thankful for all your concern and to the people who left messages for me at my Weibo to ask about my wellbeing, I am very grateful. Previously, I used a translating device from the Internet, but I realized that it sounds weird after the translation and it does not express my thoughts clearly. Therefore, I specially asked a friend of mine to help me with the translation. 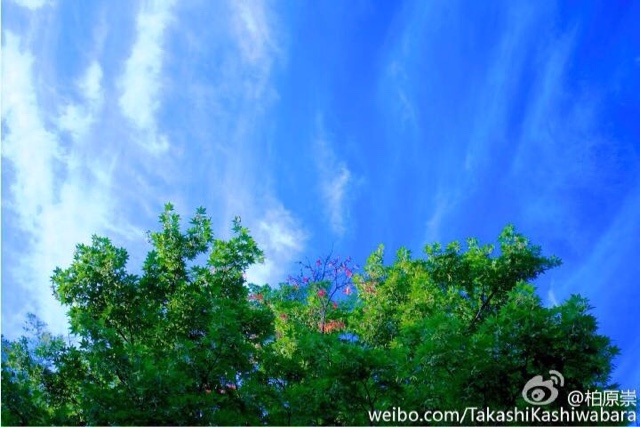 This time I mainly want to convey my gratitude to everyone who left messages in my Weibo. I am fine, please do not worry about me. I deeply felt the support from everyone. A simple greetings like are you alright is full of warmth and I felt touched and peaceful. I have uploaded a picture that represents my mood.